On Saturday 9 July 2016, CSI Summer School will take place, the latest in a series of ‘Meet the Expert’ events. A uniformed officer from Police Scotland will be stamping his authority with fingerprint and footprint activities. Meanwhile, Dennis Gentles, former scenes of crime officer turned forensic scientist at Abertay University, will explain how forensic scientists can find fingerprints on a number of different materials such as fruit and feathers. 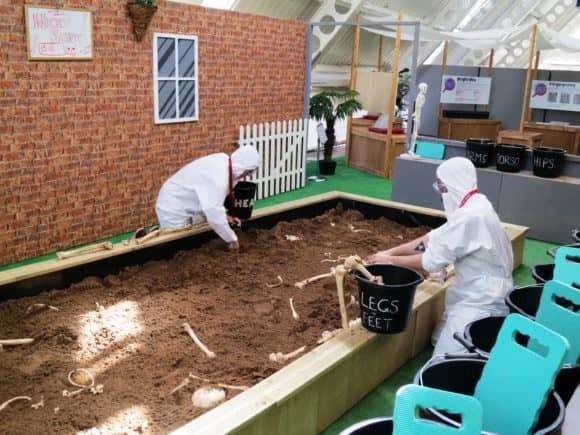 There will also be a presentation on forensic archaeology by Jack Portwood, a graduate with a Master’s degree in Forensic Anthropology from the University of Edinburgh, as well as hands-on activities relating to bones and fascinating forensic techniques. The event coincides with a host of other CSI activities running until Sunday 4 September 2016. There’s been a break in at the museum! Come along and become a Crime Scene Investigator as you search for evidence and help solve this museum mystery. During the interactive CSI family show, visitors will learn some of the techniques used by forensic scientists as they piece together the story and unravel the facts. Younger visitors will enjoy an even more realistic experience with mini CSI suits! Meanwhile, do you have the skills to literally unearth the truth? The massive Dig Pit allows budding anthropologists to dig up and identify bones. The ‘Meet the Expert’ event will run from 11am until 3pm on Saturday 9 July 2016. Normal admission costs apply. 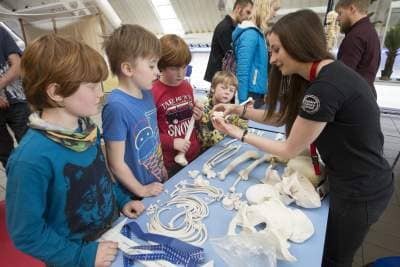 ‘Meet the Expert’ events are planned for the second Saturday of each month throughout 2016 – please check the Dundee Science Centre website for upcoming events – www.dundeesciencecentre.org.uk.